Sixers' Corey Brewer dunks against the Rockets during the second quarter. 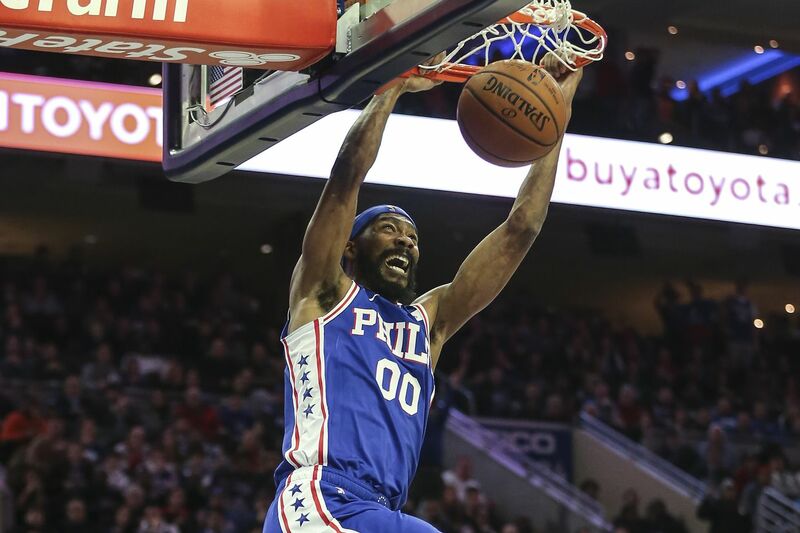 - Corey Brewer brings the energy and effort the Sixers need from someone on their second team. He’s also a solid finisher who excels in transition. - Joel Embiid picks up the slack when Jimmy Butler doesn’t play. The Sixers' All-Star center has averaged 34 points, 14.6 rebounds, and two blocks in the last three games that Butler has missed, all wins. - Sixers players appear to be starting to buy into the team’s defensive philosophy and putting team over individual accolades. Embiid had 16 field-goal attempts. Landry Shamet was second on the squad with 13. In all, the Sixers had six players with 10 or more shots. - The Rockets did not study the scouting report. If they did, they would have realized that Shamet will knock down shots if left open. He had 18 points and hit 3 of 6 three-pointers. Best performance: I had to give this to Embiid on a night the Rockets didn’t have anyone big enough to guard the 7-foot-2, 270-pounder. He finished with 32 points, 14 rebounds, three blocks, and two steals. Worst performance: This goes to Austin Rivers. The Rockets shooting guard failed to score and missed all five of his shots, including four three-pointers, in 26 minutes, 34 seconds of action. He graded out at a game-worst minus-28. Best defensive performance: This goes to Embiid even on a night that Jonah Bolden blocked a game-high and a career-high-tying four shots. Worst statistic: This goes to the combined shooting of Rockets starters Rivers and Eric Gordon. They were 2-for-18. Best statistic: I had to give this to the Sixers' 14 blocked shots.